Nothing should slow down your little one from discovering the world around them. 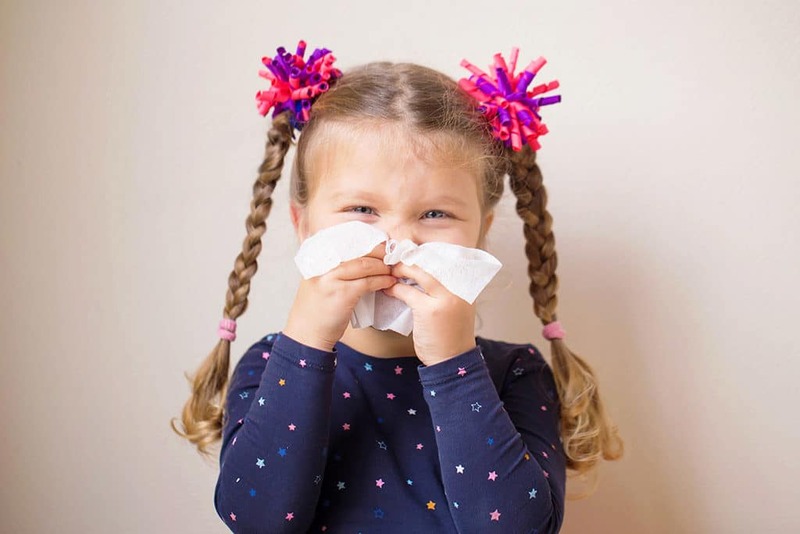 Common allergic reactions such as itchy eyes and a runny nose can bring play time to a halt, but there are also more serious allergic symptoms to be aware of, such as trouble breathing, skin rashes, vomiting, and swelling. A lot of parents can use over-the-counter remedies to deal with the symptoms of allergies, but what about when nothing seems to work? It may be time to see a pediatric allergy specialist. Allergies can make themselves discoverable through a variety of symptoms. Here are a few ways to differentiate between allergy symptoms and other symptoms. 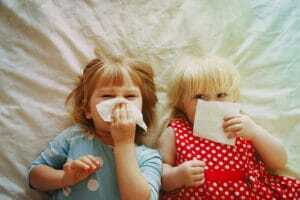 Children usually get fevers because of an infection and not allergies. Monitor your child’s body temperature with an at home thermometer. The average body temperature ranges from 97.9 to 99 degrees Fahrenheit. If a fever is present, be sure to keep a close eye on your child and bring them in to see the pediatrician if you sense something serious. Allergy symptoms can last for weeks at a time, or come on very quickly depending on the allergen. 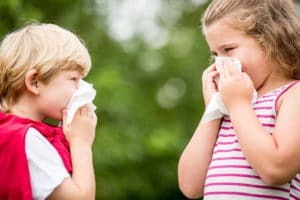 Some allergies are seasonal and happen only at specific times of the year, while others can happen when someone comes into contact with, or ingests, an allergen. Keep track of when and how symptoms arise to help identify potential allergens with your pediatric allergy specialist. About 40% of children in the U.S. suffer from allergic rhinitis, the most common childhood ailment caused by allergies. Children with allergies usually see the worst of their symptoms during the springtime, and sometimes during fall. If you notice your child developing heavy symptoms around the same time each year, then you can almost guarantee its seasonal allergies. 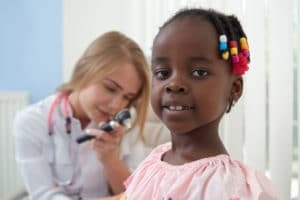 Don’t hesitate to bring your child in for a checkup if you feel their allergies are taking a toll on their well-being. At Pediatric Partners, we have a pediatric allergist on staff to diagnose and treat your child’s symptoms. No matter what type of allergy symptoms your child is experiencing, we want to help them. We have three locations to better serve our patients: Augusta, Evans, and Grovetown. Give us a call today to schedule an appointment!